Rain, sleet, or snow can make returning a rental car a battle with the elements. But at Hertz Return Centers, you're protected from the weather, all the way to the terminal. You'll pull into a weather-protected area and a Hertz agent will be waiting to give you an Instant Receipt. And at most Return Centers, a Hertz Easy Access Bus will speed you to your terminal. 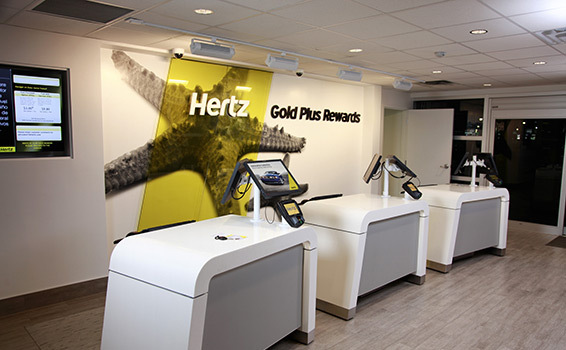 Hertz Return Centers are located at airports across the U.S.